The most common reasons for ear surgery are end-stage otitis externa/media, cholesteatomas and neoplasia. 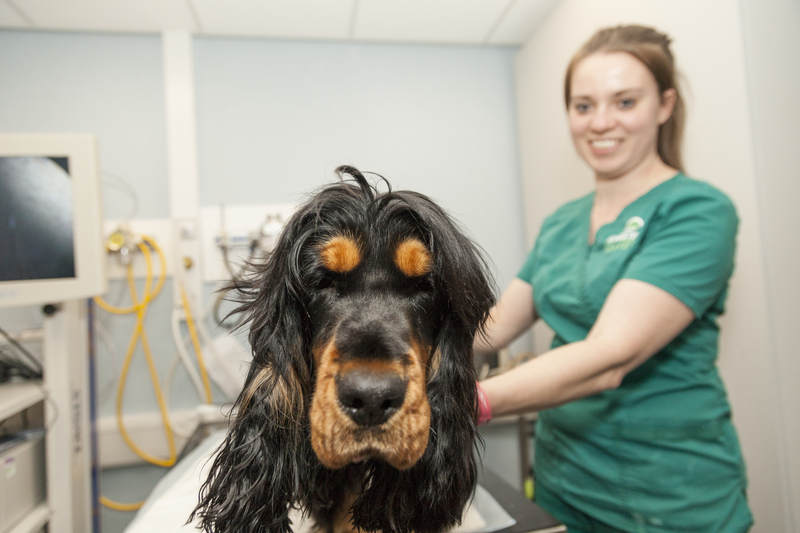 Here at ChesterGates Veterinary Specialists we routinely perform video otoscopy, digital radiography and advanced imaging with a 16-slice CT or a 1.5T MRI, to investigate cases of otitis or peripheral vestibular disease. End-stage otitis externa/media is by far the most common reason for patients presenting to ChesterGates Veterinary Specialists for surgery of the ear canal. End-stage ear disease is often secondary to recurrent ear infections or underlying disease such as allergic skin disease or neoplasia. In these chronic cases the changes that have occurred within the ear canal are irreversible and predispose to recurrent ear infections. At this stage medical management frequently fails to resolve the signs and surgery is usually undertaken. Cholesteatomas occur rarely however are a specific and often undiagnosed cause of chronic ear disease. 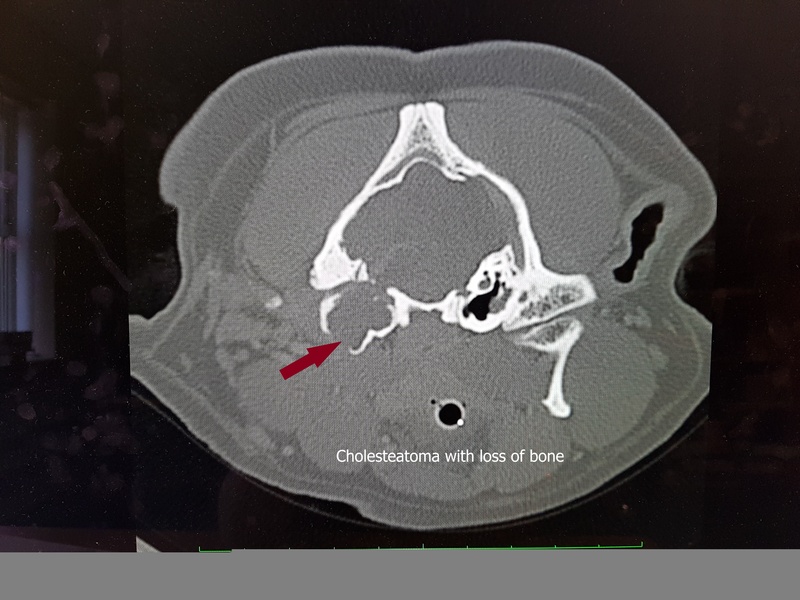 Cholesteatomas are epidermoid keratin filled cysts arising within the middle ear. Whilst these cysts are considered benign, they are characterised by expansile growth and destruction of adjacent tissue esp. bone. The cause of cholesteatomas is unknown however cholesteatomas have been reported in chronic cases of otitis externa. Whilst the reported complications including infection, neurological damage (Horners, facial nerve paralysis and vestibular disease), and deafness are high, the majority of cases have a significantly improved quality of life following surgery. Please feel free to contact the hospital if you would like to discuss any potential cases with our soft tissue surgeons.